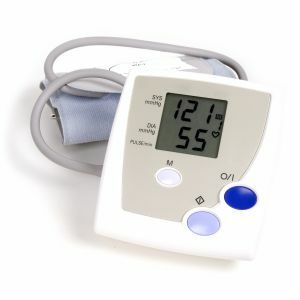 Your blood pressure is the nearest thing you have to a barometer. It varies according to the resistance of your circulation to the blood flowing through it, which sums up many contrasting influences. The simplest is the thickness of your blood itself. Watery blood flows freely whereas blood congested with animal fat, sugar or waste acids creeps round you reluctantly. Common salt, taken in excess, goes further. By interfering throughout your life with part of the chemical machinery that regulates your blood pressure, it raises this gradually. Only in countries where salt is scarce do most elderly people still enjoy naturally youthful blood pressures. The varying demands of physical, mental and digestive effort determine the rise and fall of your blood pressure with activity throughout the day. These show off the mechanism at its healthiest, serving most directly the purpose for which it evolved. You can often maintain the balance of your circulation, and your sanity, by letting off steam through effort contrasting with the cause of your exasperations. Motorists would vent their frustrations more safely if they could tear about on their bikes sometimes. Anxieties and passions that are not relieved in this way accumulate to affect your nervous tone, which is reflected in the tension of muscles that control the size of small arteries everywhere in your body. When these tighten their resistance rises disproportionately, pushing up your blood pressure. This may be temporary and relatively harmless, or more permanent if tension begins to burden your life. None of this would matter if your heart and arteries did not wear faster under higher pressure. Their efforts to compensate for this only make matters worse. Extra pressure makes the muscles of your small arteries thicken, which increases their resistance further. They stretch under constant pressure into tortuous curves which have the same effect. Premature ageing eventually stiffens them, so that they can no longer absorb the shock of your heart’s violent pulsations but receive their full force. Tears develop in their lining skin, which heal imperfectly as arteriosclerosis. Worse still, small arteries may crack right through so that you bleed under high pressure into the nearby tissues. Subarachnoid haemorrhages and strokes arise in this way from arteries near to or within your brain. One of your eyes may be blinded suddenly in a similar fashion, by rupture under pressure of a brittle blood vessel inside it. Moderately raised blood pressure does not cause such catastrophic changes quickly, which gives you plenty of time to reverse it. But very high pressure in a young person is a serious matter which can do damage in only a few years. Get yourself medically investigated and under adequate control before exploring more fundamental cures. You may have a small benign tumour that surgery can deal with very satisfactorily. Conventional diagnosis and treatment give you time to explore causes at your ease. 1. Use your raised blood pressure to monitor how you deal with its causes. Medical treatment may postpone complications but only tinkers with the meter readings and may cause side-effects. Regard it as a temporary tactic and aim to undermine your need for it eventually. 2. Adopt for three weeks the special diet for cleansing, avoiding meticulously all meat, fish, dairy produce and stimulants — especially coffee and smoking. Garlic powder or a potassium chloride condiment (eg Ruthmol) replaces salt. Thereafter follow the diet for health, still avoiding animal fat except a little butter and soft cheese, one or two eggs a week, and a little fresh fish if you want them (see the Diet Based on Vegetables). Keep off all kinds of sugar. The more sugar you eat the more salt you retain and the higher will be your blood pressure. 3. This diet deals coincidentally with overweight. Loss of excess body fat lowers your blood pressure, regardless of any other benefits. 4. Rue tea is a therapeutic and non-stimulating drink. Mistletoe (four berries twice daily on an empty stomach) soothes an overdriven heart and the underlying tensions. Garlic reduces blood pressure directly. Ginseng eases the causes of hypertension and increases tolerance to stress. 5. Use good breathing, recreation and exercise to counterbalance your other exertions. If relaxation is difficult practise it — if necessary with a relaxation or yoga teacher. 6. Correct the quality of your sleep. Food-state Vitamin C (250mg on each occasion) and Rutin (a bioflanonoid, 60mg twice daily). Food-state Inositol (100mg twice daily) all have useful effects on raised blood pressure, but balance them with one tablets daily of food-state Vitamin B Complex. 8. Garlic Oil may work when whole garlic fails, but confine it to four capsules daily at weekends and take the food-state multimineral supplement on weekdays to offset accidental losses of nutrient minerals. 9. Consultation with a Homoeopath or practitioner of Traditional Chinese Medicine may prove worthwhile.